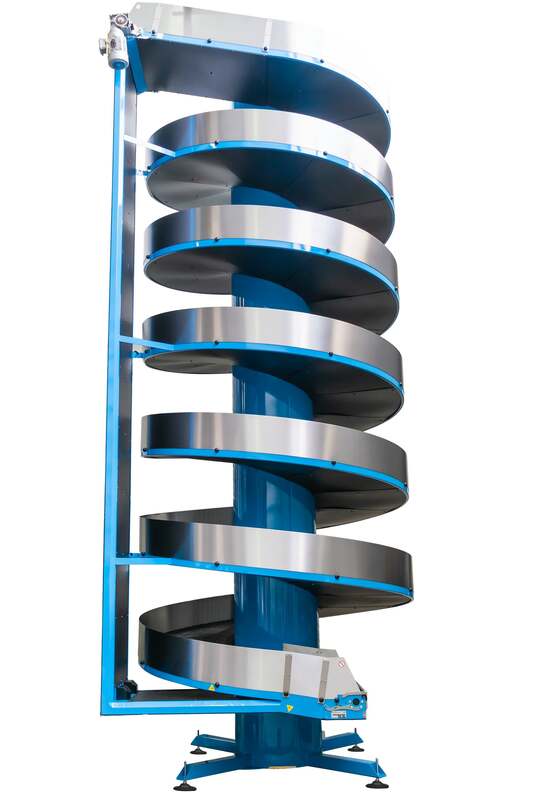 The SpiralVeyor® SVe is a continuous elevator for larger products, it is based on the proven AmbaFlex SV series. The compact SVe has a larger footprint. As standard the SVe spirals are fully reversible for feeding to/from various floors. Suitable for: Cartons, containers, trays, bottlepacks, bags, crates,totes, luggage and other larger items.